Coming up with a healthy recipe for kids that actually gets kids to eat veggies can be challenging. I sometimes have a hard time getting my teen to eat veggies. He only likes baby carrots, cucumbers and mushrooms. That doesn’t leave me much of a choice. I want him to have a balanced diet, which means he needs to eat more veggies! Hiding the veggies in my vegetable muffins worked so well last week, I tried it again with this spinach meat loaf! I know we want all our kids to eat vegetables presented separately but we do what we have to do to bring them to eat a balanced diet. If hiding vegetables in their favorite recipes is what works then so be it. My son is a huge fan of meat loaf . The idea of adding vegetables to this dinner recipe came when someone suggested swapping mushroom with meat. Basically, instead of having 3 servings of meat, mix 2 serving of meat and one serving of mushroom. It is leaner, healthier and cost effective. So I thought it will be a great swap for the meat loaf. 3 cups of ground beef. I usually go with extra lean ground beef. 1/4 cup of your favorite crackers. In your favorite blender, blend the mushrooms. Add your mixture in a 10. *5 pan. Bake for at least 40 minutes. 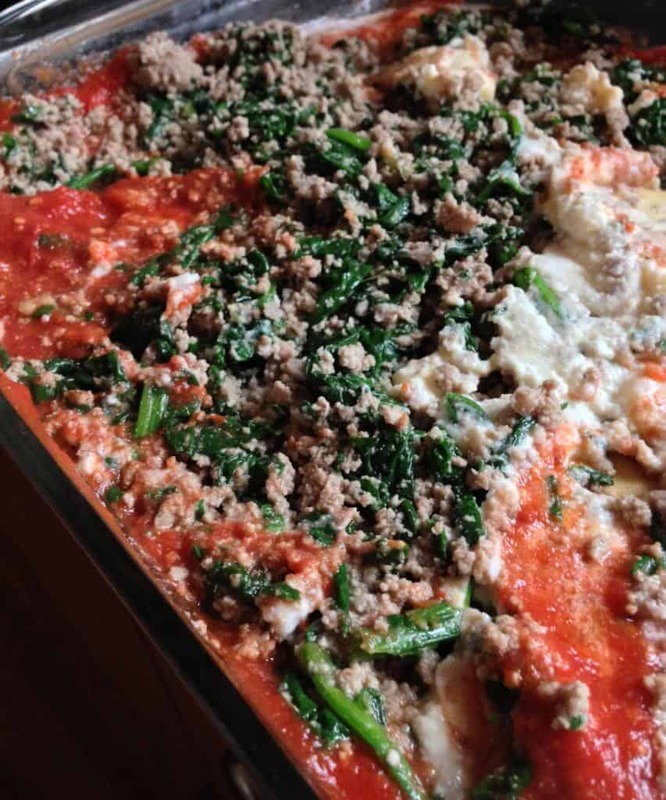 The above meat and vegetable mixture will be a great addition to your spinach lasagna. If you want to save some time, mix the mushrooms, meat and spinach and freeze them in freezer bags. You will find them ready for future use. If your kids don’t like mushrooms, you can swap them with zucchini. It adds nice color along with the spinach. My kids love topping the meat loaf with tomato sauce, make sure to have it handy. I usually cook a homemade tomato sauce and have it in the freezer. It is handy. Do you have any great swaps that you make in the kitchen to get your kids to eat more veggies? What do you think of this healthy recipe for kids? Would You Want to Stay on Life Support to Save Your Unborn Baby? Used this recipe as inspiration for dinner tonight. It’s in the oven and can’t wait to try it. I didn’t blend the mushrooms or add any cheese, and used marinara sauce that came with a recent delivery instead of ketchup plus onions and some Italian seasonings. While it may sound totally different, it really is the same basic recipe with minor substitutions/additions. Thanks for giving me something to work from! Meatloaf is such a versatile recipe and so easy to hide veggies in. I have never put spinach in it so I will have to try that. Love trying new versions of meatloaf. Such a classic recipe with so many variations. Gotta love spinach! I am lucky my kids like spinach. This is a new recipe for me and I can’t wait to try it. Spinach is so moist! I love putting it in meatloaves. The more veggies you add to a meatloaf, the more moist it will be! This is especially true if you’re using a ground poultry. This one looks amazing and I can’t wait to put it #onthemenu for dinner soon! Pinning! I love using spinach for things like this. What a great idea. If you can’t tell it’s there then it’s best to put it in! My husband loves meatloaf and I know this would be a hit. Trying it soon! Pinning! I never thought to do this, but I love the idea! I love hiding veggies in things like this, and I’m going to do this next time I make meatloaf! This looks and sounds amazing and healthy. I really think this is something I can trick my husband into eating and get away with it. Thanks. I’m pinning this for later! One of the things I’m finding is meat is getting more and more expensive so if this tastes great with more veggies it’s a great go-to dish! We love meatloaf. I actually shared a recipe a while back. We haven’t tried it with spinach. Gotta try this one. This looks really yummy! I love that it’s so easy to hide vegetables in food! That is one healthy and tasty looking dish. When is dinner served? This sounds delicious, what a great twist on a traditional meatloaf, and a great way to add some veggies to a plate! The spinach sounds really good in this! I can’t believe there’s spinach in there. It looks SO good! Oh wow I LOVE LOVE LOVE adding veggies to my meat dishes. 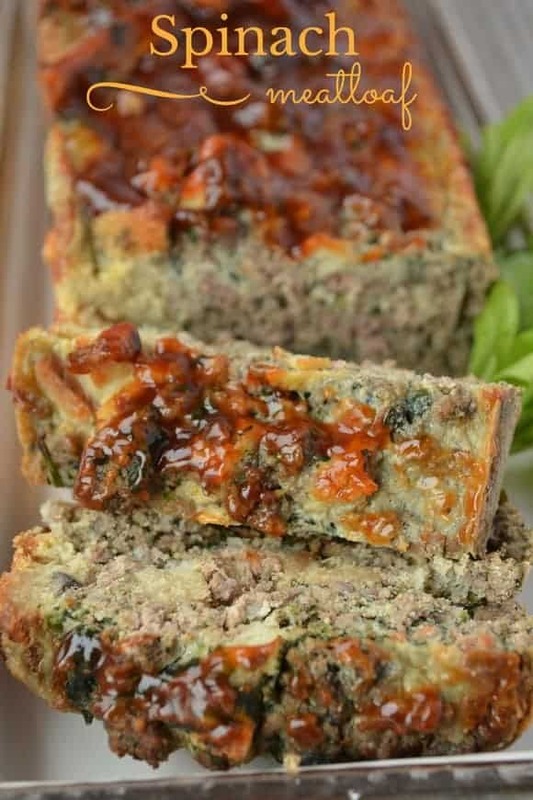 I will give this spinach meat loaf a try and it looks totally delish! Ohhh that looks great! I love meatloaf && I love spinach! Win win! This looks like a great meatloaf recipe. I will have to make some i love spinach. My kids do like meatloaf. This is a smart way to try and get them to eat their veggies without fussing. That looks really good! I’m not for mushrooms but I bet they taste good in this dish. You had me at spinach. That’s one of my favorite vegetables but I would never think to put it in meatloaf. I would have never thought to put spinach in meatloaf but goodness, it does sound divine. Thanks for sharing. 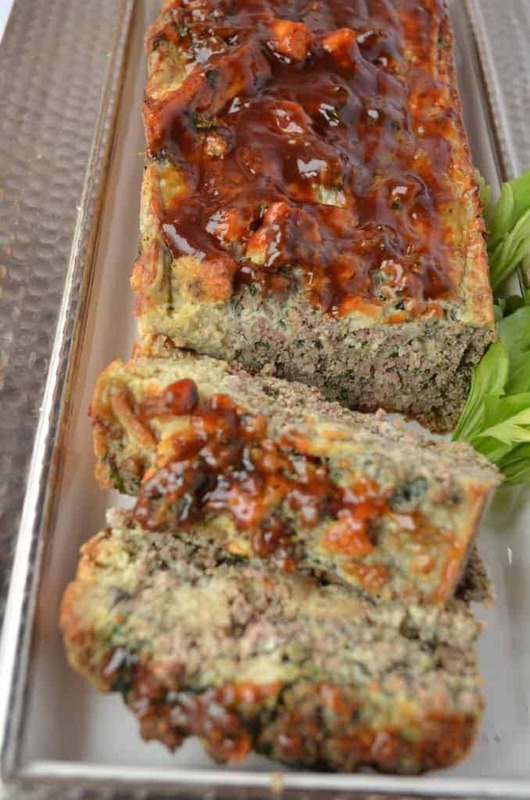 I haven’t tried a spinach meatloaf all my life – this looks healthy and yummy, wow! This sounds and looks amazing indeed. I love mushrooms and the kids love meatloaf so I will have to make this recipe. Thanks for sharing. This looks like a great recipe. I like the idea of sneaking in veggies. I will have to make this for my son. I have never thought to put spinach in a meatloaf. This is such a great idea. I am excited to make this recipe. This is such a clever idea! Except for the fact that I can’t even get my toddler to eat meatloaf lol. Ahh picky kids. Oh my gosh I would love to try this. I love meatloaf and I love spinach, both of them together? Winner winner! I’m a huge spinach fan. This looks like a keeper! I love sneaking in veggies when I can! This sounds fantastic. This sounds delicious! I don’t have to hide vegetables anymore but I love to put them into just about anything. I can’t wait to try this one out. What a great way to hide the veggies. I may be able to get my kids to eat mushrooms and spinach this way! Fair Trade Bags Make Great Gift Ideas for Women! Giving Birth While Sick: How to Cope?